The gold trim set against a glossy black and white back does look stylish on both the devices and the Nokia logo, picked out in gold, on the rear of the devices also looks pretty tasteful, the report said. This will most likely be the last time Microsoft releases a Nokia -branded mobile. However, neither of the new handsets will be available in the United States with Microsoft planning to release them only in "select countries in Europe, Asia Pacific, the Middle East and Africa and China." 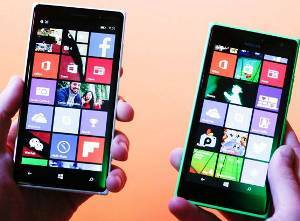 Lumia 930 will be available in black this week and in white towards the end of January. The 830, on the other hand, will be available in both colours from February.